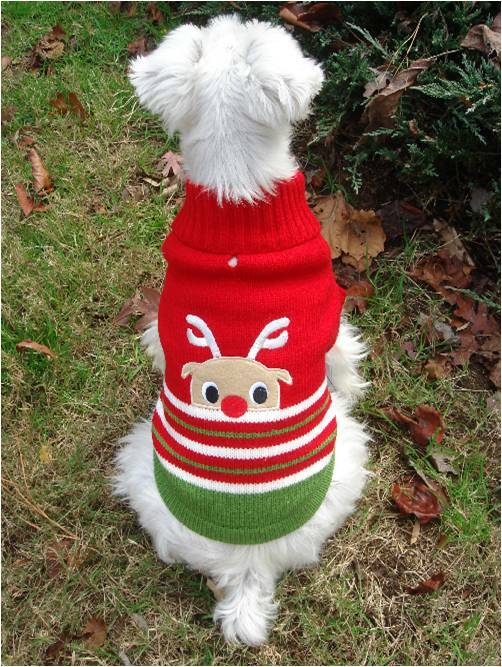 Here are some great dog gifts and gift ideas for your Miniature Schnauzer. 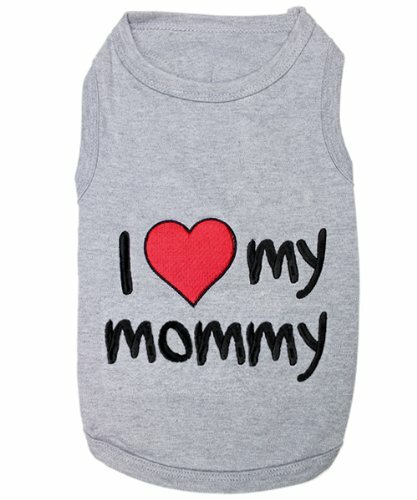 Whether you're buying something for Christmas or for your Mini Schnauzer's birthday or simply because you were out shopping and saw something you think your dog would love, Miniature Schnauzer owners just love buying presents for their precious fur babies. 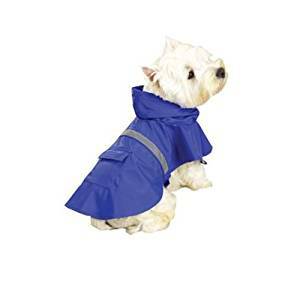 And if you are looking for a special something for a dog-loving friend (whether they own a Miniature Schnauzer or another dog breed) you won't go wrong if you get them a present that would benefit their dog, like a cute dog sweater or rain coat. Miniature Schnauzers Thorin and Walker are enjoying the comforts of lots of toys. Plush dog toys make great pillows for your dogs, too. Let's face it, Schnauzers love all kinds of dog toys and these toys will both entertain your dog as well as provide a way for them to get some exercise. And even better, if you join in on the fun you will continue to strengthen the bond between you and your dog. Since the market is flooded with all kind of dog toys, choosing one an be quite confusing. And you don't want to buy a toy your Schnauzer will loses interest in playing with after 5 minutes. So what kind of toy should you buy for your Miniature Schnauzer? 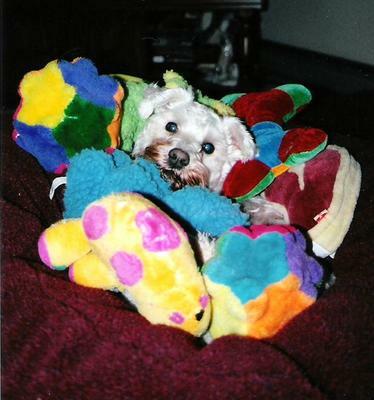 To narrow it down a bit for you, plush squeaker toys and interactive puzzle toys are always popular with the Mini Schnauzer. Take a look at these best selling dog toys which include a no stuffing squeaky toy, an interactive puzzle toy, and a treat-dispensing toy great as a self reward toy for smart Schnauzers. But no matter what kind of toy you buy for your Mini Schnauzer make sure you read over our Dog Toy Buying Tips. 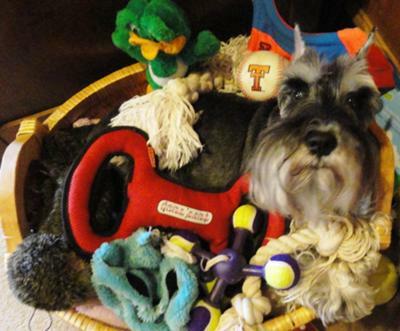 These tips will help you choose the safest toy for your Miniature Schnauzer. You can never go wrong buying yummy dog treats as a gift for a Miniature Schnauzer. Just be sure they are all natural, healthy treats. In fact, go for small training treats and make your dog earn his rewards. Here are some great choices for nutritious dog treats. dog tip: For those of you in colder climates be sure to buy a heavy dog sweater or dog coat. Another popular gift idea is a matching dog collar, leash, and harness. These items do get worn and should be replaced when you notice too much wear. These matching collars and leads will keep your Schnauzer in style and safe at the same time. dog tip: It's a good idea to keep an extra leash and harness and/or dog collar in your car. Dog Carriers and Travel Products Travel with your pet in style, comfort, and safety from a great selection of dog carriers, vehicle safety harnesses, pet car seats, ramps, strollers, and more. Housebreaking Dog Products Whether it's poop bags, training pads, or odor and stain removers, dog owners always need restocking on these items. Dog Grooming Products Schnauzers need grooming on a regular basis. A great dog gift for any Miniature Schnauzer owner... a basket of dog grooming supplies. Choose from dog brushes, clippers, dog shampoos and more. Dog Beds Every dog needs a soft comfy place to call their very own. Some dogs like to have a dog bed in different rooms of the house too. This way they can always have a soft spot to rest no matter what room the family in at the moment. Usually 3 beds will do: A bed for the family room, home office, and kitchen. Breed Specific Gifts Find unique animals gifts, for any animal lover at the Animal Den! Dog gifts include blankets, collar & leash, jewelry, shirts, pillows, frames, ornaments, pet bowls, mugs, magnets, and the list goes on and on. And be sure to check out our Mini Schnauzer creations on Zazzle Where you can customize our designs with you your pet's name and photo or create your own!